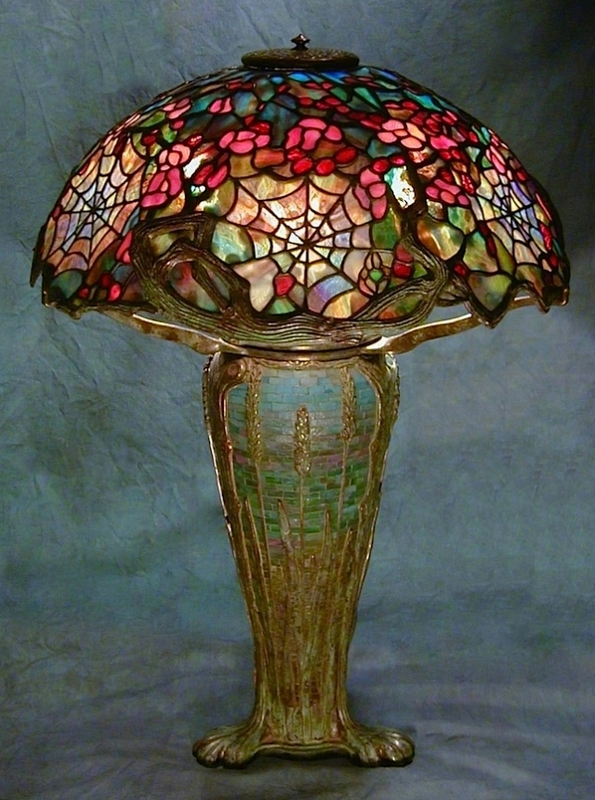 The 18″ Cobweb shade is one of Tiffany Studios earlier, more elaborate shade designs, with only three original examples are known to exist. The shade features flattened areas which showcase the spider’s webs, cast metal branchwork, and even a spider lying in wait. The painstaking custom glass mosaic work on the Wheat Mosaic base was done at our studio specifically for this shade. The lamp is now in a private local collection.